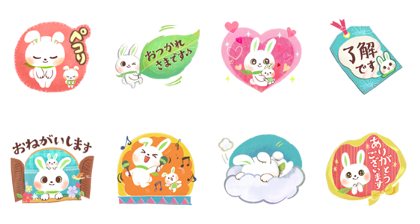 L’OCCITANE’s popular Usa-tan is now available as a set of eight handmade-style stickers! Get them while you can! Friend L’OCCITANE’s official account and register your LINE Members Card information to get the set for free. Expiry Date : Available till February 19, 2019. 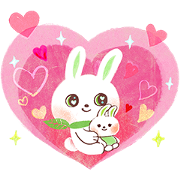 Copyright : L’OCCITANE JAPON K. K.
How to get GIFs animated and PNG with transparent background of LINE sticker? Bear Companion × L’OCCITANE Usa-tan Shopping Panda – Rakuten Yoshiko Tamagawa: 17th Free Set! Don’t Give Up Ko-suke!